Design Applications in Industry and Education is a collection of papers presented at the 13th International Conference on Engineering Design in Glasgow, Scotland. Founded in 1981 by Workshop Design-Konstruktion, this conference has grown to become one of the field's major exchanges; one of four volumes, this book provides current insight based on the ongoing work of the field's leading engineers. Novel applications are explored with emphasis on solving barrier challenges, suggesting new avenues for implementation and expansion of engineering design's utility. 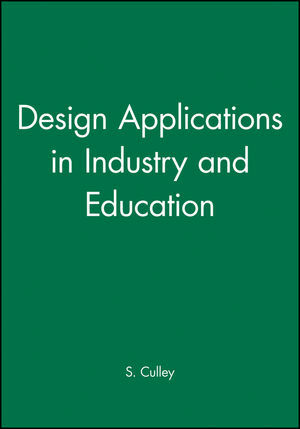 S. Culley is the author of Design Applications in Industry and Education, published by Wiley.